« What’s the Deal with Antibiotics? Metabolic Syndrome: What is it and Why Should You Care? Metabolic Syndrome is a cluster of symptoms that put you at much greater risk for developing heart disease, stroke, diabetes, and even cancer. Look at your body. 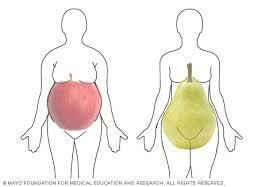 Are you apple or pear shaped? If you are pear shaped, your risk for heart diease and diabetes is actually less. *The more risk factors you have, the greater your risk is for type 2 diabetes, heart disease, stroke, and others. 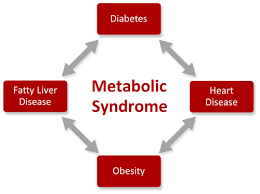 How can you be evaluated to see if you are at risk or to know if you have Metabolic Syndrome? With something called a metabolomic profile. This is a blood test and requires an overnight fast. •	HbA1C (glycated hemoglobin): an estimated average of your daily blood sugar over about a three month period. •	CRP: produced by the liver, a non-specific marker of inflammation, a strong independent risk factor for atherosclerotic (thickening of arteries) heart disease. 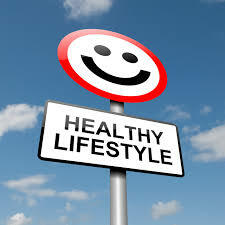 This can be elevated with smokers, heart disease, high blood pressure, obesity, and sedentary lifestyles. •	Insulin: a better indicator of the onset of type 2 diabetes than blood sugar, because it will be elevated in very early stages of diabetes. Insulin holds the key to getting sugar, or glucose, into your cells where it belongs. When you have higher levels of insulin, it means your cells are becoming resistant to that key to get all the extra glucose in, and it is producing more to work harder with more keys. So there are more keys working, but your blood glucose level may show to be “normal” even when you are well on your way to a diagnosis of diabetes!! •	Leptin: A hormone that normally signals your brain when you are full and to suppress your appetite. With increased fat, steroid use, alcohol, hypothroidism, or depression, you may have a higher level of circulating leptin. Despite what you may be thinking, THIS IS NOT GOOD. The problem is, this increase in leptin causes an interruption in the signal to your brain, and resistance develops (just like with insulin). So leptin is then unable to get the signal to the brain to suppress your appetite! Instead it causes an increase in inflammation. This can cause your arteries to thicken faster and has been associated with heart attacks and strokes. •	Adiponectin: This is an ANTI-inflammatory protein that stimulates the release of insulin to get the sugar in the cells. Low levels are associated with metabolic syndrome, type 2 diabetes, obesity, and others. When adiponectin is too low, it will cause more inflammation, increase your risk for heart disease, and lung and other cancers. •	Exercise regularly! This doesn’t mean an hour every day. A 15-minute work-out is only 1% of your day. Make time NOW, or you won’t have the time later. •	This is no secret, but if you are a smoker, you just gotta find a way to quit. •	Eat more more more more veggies. There are several recipes here if you’re struggling with ideas. Another idea is to start slow and just eat broccoli three times a week for a few weeks. Then add in more! Veggies can save your life. Choose fruits like berries. Cut out the processed foods and eat WHOLE FOODS (they have one ingredient – itself! ); cut down on added sugars, and read labels. If there are more than five ingredients, probably not a good idea, especially if the sugar is first and if you cannot pronounce the ingredients! •	If you snore or do not sleep well, get evaluated for sleep apnea and make sure it is treated. •	Eat fish (smaller are better. Wild Alaskan salmon is the best salmon) 2-3 times per week and make sure you get enough omega-3s (EPA & DHA). You can put the supplement in the refrigerator to decrease the fish burps! 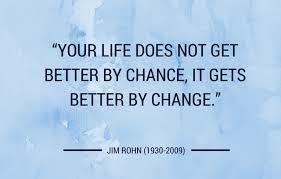 OVERALL, decide to make a change, and make it. If you are struggling, give yourself credit for every little step. If you feel like you are “in a mess”, you didn’t get there overnight. Lifestyle changes take time, and you need to feel supported. If you need accountability, which we all do, get your family involved and/or find a buddy! And as always, I am here for you.